Day 55, we broke down our tent site and ate breakfast quickly, as we were eager to hit the trail to get to our next resupply location in time for dinner. We were headed to Vermillion Valley Resort (VVR), 19.4 miles away. 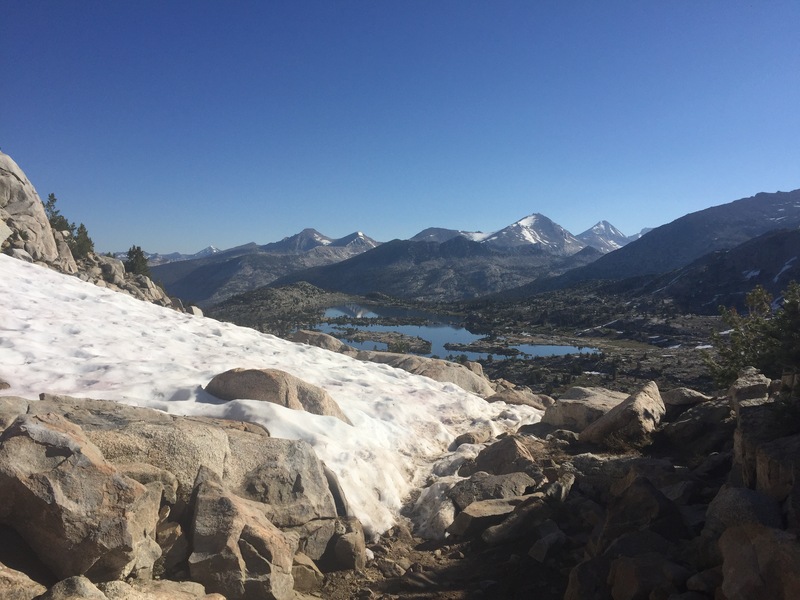 The hike started passing a few lakes, as we ascended the final 3.25 miles to Selden Pass. We had already gained most of the elevation to the pass the night before, and it was lower than the other passes (under 11000 ft), making it less snowy and much easier than the previous ones.The views were great, and we enjoyed a gentle downhill into the valley. We soon came to the next challenge of the day, fording Bear Creek- which has been described as the wildest of fords on the PCT. The water was swifter than Evolution Creek, but not quite as deep. To be safe, Garrett and I used the two person method as before, as the water was still up to my waist. After we were done with that, we had to ford the Hilgard Branch of the creek, so we hiked in our sandals and wet clothes for a couple miles. This ford was just as swift, but not nearly as deep, so I was able to cross unaided. Relieved that the challenging parts of the day were over, and that we were making good time, we stopped for lunch and enjoyed Bear Creek running by. Afterwards, we hot footed it towards VVR. 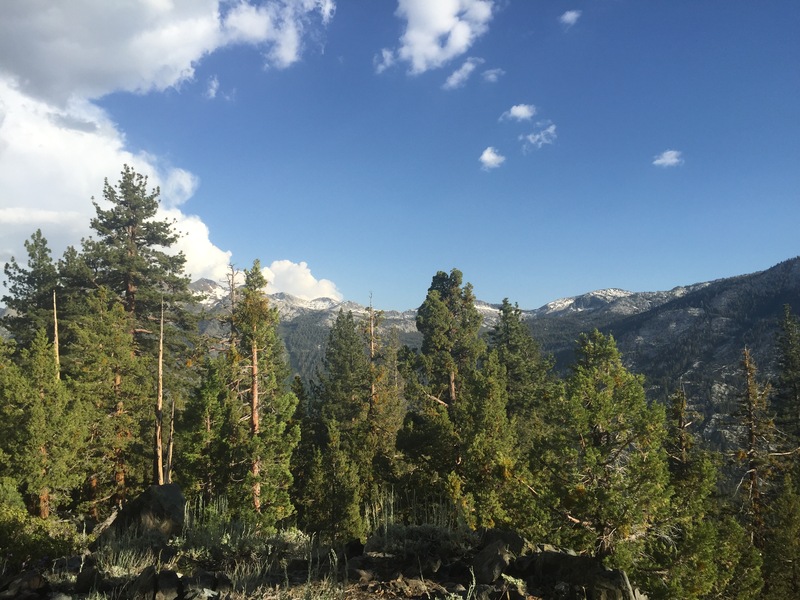 There is a ferry that leaves at 445pm to get to VVR, or you can choose to take the 7.2 mile Bear Ridge Trail that cuts off of the PCT about 5 miles before the ferry and leads to VVR. We didn’t want to chance missing the ferry, so we took the Bear Ridge Trail in, and per usual as we’re heading towards fresh snacks and a hot meal, we seemed to fly down the trail! We surprised ourselves by getting to VVR a little after 4pm. We would have made it earlier, but about a mile before we passed a drive-in campsite with a bunch of campers who spend a few weeks up at Edison Lake each year. They offered us a cold beer, and we couldn’t pass it up. Once at VVR we picked-up our maildrop with food for the next four days, and ate some dinner. 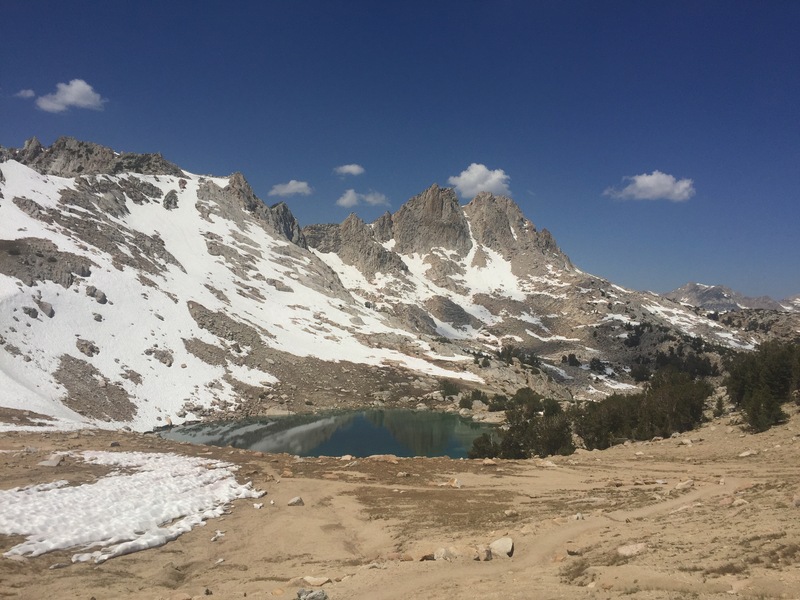 We also bought some additional food, as we nearly ran out by the time we made it to VVR, and don’t want to have to push ourselves through the beautiful Sierras. The next day we woke up at VVR, and enjoyed a massive well-earned breakfast. We hung out at the “resort” which was pretty much just a campground, camp store, and small restaurant for the rest of the day- then caught the boat around 4pm back to the trail. It was such a pretty spot, we decided to camp and take a full zero day. The next day we woke up rejuvenated, and quickly started our hike-up to Silver Pass. It was a relatively easy hike up, and we had a snack before heading down. We took the rest of the day nice and easy, and camped at Purple Lake. We’re liking not racing through the Sierras! I am very impressed that you hiked instead of taking the ferry. I know that I would have done the same. I envy the snow at this time of year! Happy belated 4th of July!!! 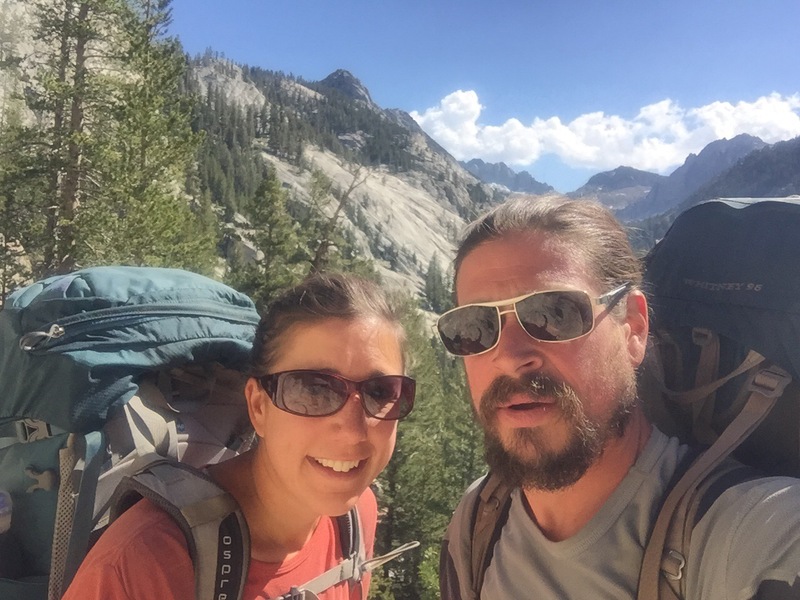 Following your hike has been so inspiring…what a great way to start married life! !